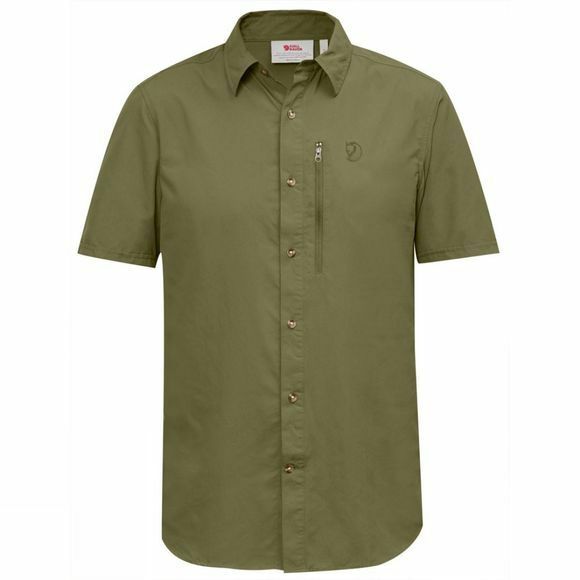 Lightweight, comfortable short-sleeved shirt for trekking and outdoor life in the summer. Made from a soft, functional fabric that wicks away moisture and feels cool against the skin. A convenient garment that takes little space in a pack – practical when space is limited. Well-fitting cut, buttons at the front and a vertical chest pocket with zipper and mesh lining. Ventilation opening at the yoke to release excess heat. Built in UV protection, UPF20 .